Multiplication worksheets that multiply dollars times whole and decimal unit quantities. Some results will require rounding. Multiplication of currency values is a special case of multiple digit multiplicaiton, but certain mental skills develop that help with multiplying common fractions of dollars, for example tenths of dollars, quarter dollars or half dollars. 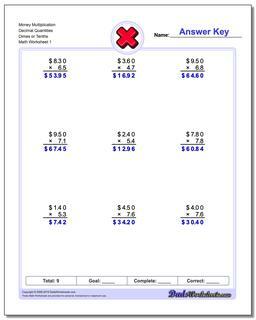 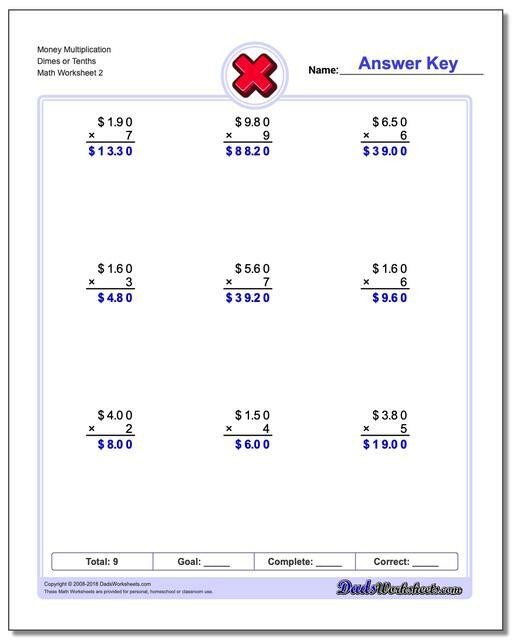 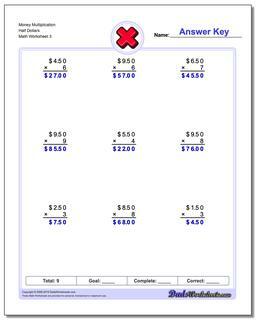 There are different sets of multiplication worksheets in this section that deal with each of these scenarios, as well as full multiplication of arbitrary dollars and cents.